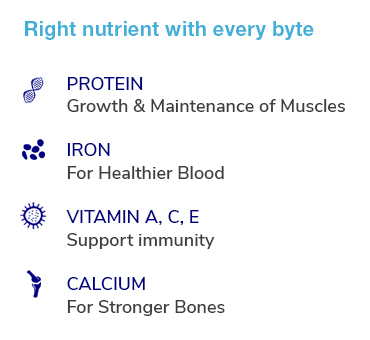 Protein is one of the most important everyday nutrients for all of us. However, due to a busy lifestyle, it gets difficult to meet our daily protein needs. That’s why we at Protinex, bring to you a snack that gathers convenience, taste, health and of course, Protein in every bite! 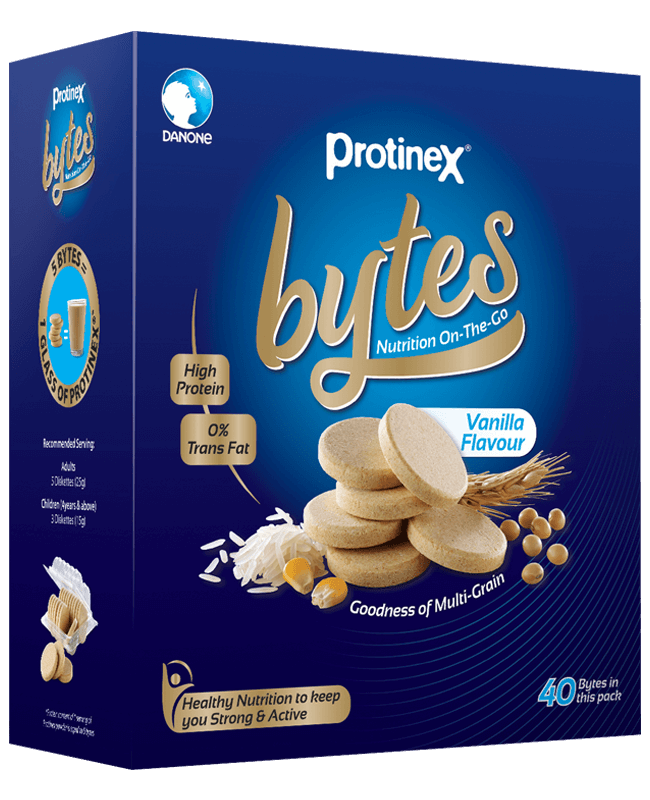 Protinex Bytes provides High Protein and 26 essential Nutrients to help fulfil your daily nutritional needs in a convenient manner.